I don’t have awkward moments. 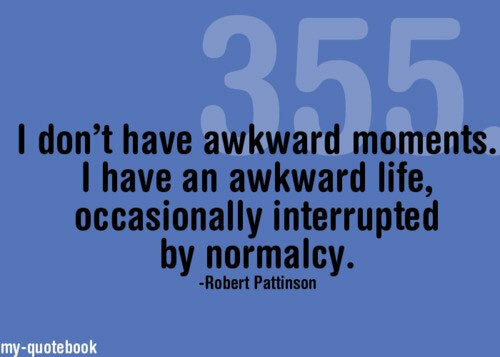 I have an awkward life, occasionally interrupted by normalcy. Life is often compared to a marathon, but I think it is more like being a sprinter; long stretches of hard work punctuated by brief moments in which we are given the opportunity to perform at our best. Unless we form the habit of going to the Bible in bright moments as well as in trouble, we cannot fully respond to its consolations because we lack equilibrium between light and darkness.